Launch Day for Orbital ATK CRS-6! Good afternoon from Florida where the Orbital ATK Cygnus spacecraft “S.S. 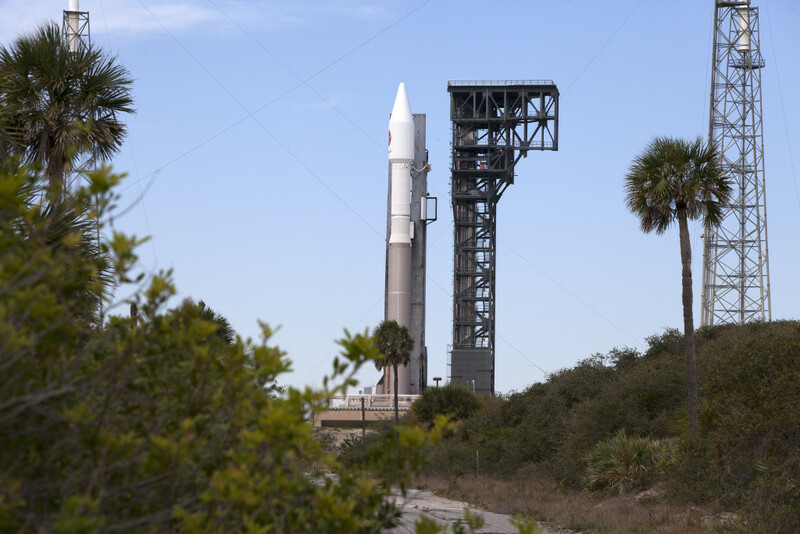 Rick Husband” and a United Launch Alliance Atlas V rocket are poised to launch tonight on a mission carrying close to 7,500 pounds of experiments and equipment to the International Space Station, along with supplies the crew living on the orbiting laboratory needs. Liftoff is scheduled for 11:05 p.m. EDT from here in Florida. There is a 30-minute launch window tonight and the weather forecast continues to call for a 90 percent chance of acceptable conditions at launch time. Our continuous countdown, launch and ascent coverage will begin on NASA’s Orbital ATK Blog and on NASA TV at 10 p.m. This is the company’s fifth scheduled cargo delivery mission to the International Space Station under the agency’s Commercial Resupply Services contract. It is the second flight of Orbital ATK’s enhanced Cygnus featuring a larger pressurized cargo model with increased capacity and an optimized service module design including lightweight UltraFlex solar arrays. A launch today will result in the Cygnus spacecraft arriving at the space station on Saturday, March 26. Space station crew members Tim Kopra of NASA and Tim Peake of the European Space Agency will use the station’s Canadarm2 robotic arm to reach out and capture Cygnus at about 6:40 a.m. NASA TV coverage of Cygnus capture will begin at 5:30 a.m. Installation operations are expected to begin at 9:25 a.m. NASA TV coverage resumes at 9:15 a.m.